Students develop an understanding of the concept of “caring” and the many ways people around the world taking care of each other. Students will study artworks by Mary Cassatt on the subject of mother and child. Students will view artworks and writings created by students in other countries through the iEARN project - Global Art: Images of Caring. Students will use the processes of speaking, listening, and viewing to learn about “caring” that happened at home, in school, and in the community. They will express their idea of what “caring” is by speaking about it in class sharing. Students will look at works by Mary Cassatt and make observations of her style of expression on the subject. Students will create a piece of artwork that illustrates their idea of “caring”, the feeling of caring. They will select the drawing tool to use, as well as color scheme and drawing style for their work. Students will participate in one-to-one conference with the teacher to compose a narrative writing to accompany their artwork. Instead of writing or drawing to demonstrate their understanding of the concept of caring: Students can act out their idea of caring with selected partner. Students can use illustration in books to “show” their ideas about caring. Instead of just looking and talking about a painting, students can "touch" and “trace" to learn about characteristics of lines: Students can have an up close examination of a digital version of artwork and trace the brush strokes, outlines of figures, facial features, and etc. For students with fine motor control issues and get frustrated easily, they are given choice of tools that they can use to allow for full participation of the activities: jumbo sized color crayons, color chalks, fat pencils, shape templates, thin and wide color markers, and etc. To support students in speech to text development without hampered by under develop hand writing ability, teacher will transcribe for the individual student as needed. To support students with speech impairment or delay, teacher will assist individual student in reading aloud their writing piece, ready for their oral presentation to class. Writing 3 - Write narratives to develop real or imagined experiences or events using effective technique, well-chosen details, and well-structured event sequences. Writing 4 - Produce clear and coherent writing in which the development, organization, and style are appropriate to task, purpose, and audience. Wriitng 8 - Gather relevant information from multiple print and digital sources, assess the credibility and accuracy of each source, and integrate the information while avoiding plagiarism. Speaking and Listening 1 - Prepare for and participate effectively in a range of conversations and collaborations with diverse partners, building on others’ ideas and expressing their own clearly and persuasively. Speaking and Listening 2 - Integrate and evaluate information presented in diverse media and formats, including visually, quantitatively, and orally. Speaking and Listening 4 - Present information, findings, and supporting evidence such that listeners can follow the line of reasoning and the organization, development, and style are appropriate to task, purpose, and audience. Listen to a read-aloud about a famous artist. Look at a work by the artist. Observing and interpreting the world. Time: Five to six periods, weekly lesson, takes approximate two months time. First, we will have a class discussion on “Who take care of you at home?” I will clarify it with examples like cooking and cleaning for them or taking them to school as well as the doctor’s office. Then, the students will examine some picture books (selected from collection of books previously read to the class) to see if they can find other examples. Students will share their finding by showing the pages and telling how it showed “caring”. Students can choose to act out the idea of caring with a partner. Introduce Mary Cassatt to students, a famous artist. Students will look at artworks by Mary Cassatt that showed mother and child together and talk about if “caring” is there. At this point, I will present the project to the students showing them artworks created by students from other countries. We will read the messages and look at their images. We then brainstorm on possible images to create for the class’s participation in the project. Before students embark on drawing their images of caring, we will study Mary Cassatt’s work to review how one can draw lines that shape a person’s face and garment. Students will get closed up of the digital image and trace the brush strokes with their fingers. We then discuss color choices and their uses on the pictures, bright colors or dull and dark. 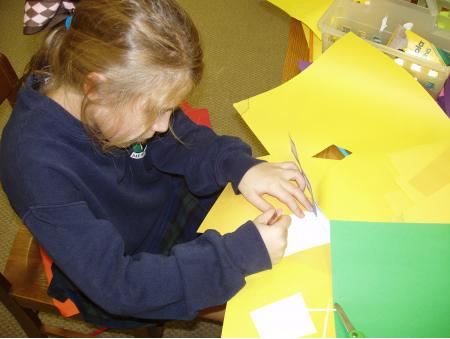 Students previously had lessons on lines, colors, and shapes. Students will select drawing tools and begin to draw. During work session, I will conduct one-on-one conference with the students regarding their intended plan and provide assistance and feedback. As students are finishing up, they will draft their sentences for their picture on separate piece of paper. They will read their writing to me during the next one-on-one conference and work on a revision if necessary. Students can choose to write the final text on the artwork or attach the paper with the writing to the artwork. Depending on their writing ability, their message will be add on by the teacher. I as the project facilitator and the art teacher will be responsible for and in charge of the art making and writing about the artwork. All e-mail exchanges with partner schools will be done by me on a weekly basis and focuses on what the students have learned and would like to share with the students from partner schools. In order to evaluate student artwork appropriately, student portfolio be kept and periodic review of artworks be conducted. Student’s artwork should reflect the art concepts and art techniques previously explored in class being incorporated in later work. During presentation to peers, student is speaking clearly and fluently. Student listens to peers’ feedbacks and responses appropriately. Students attend to presentation by peer and viewing their artworks. Provide oral feedbacks to presentation in an appropriate manner. Student’s narrative writing presents a clearly formed idea and uses appropriate sentence structure and language. Student participation in all planned activities at his or her ability level would be most important in assessing the student work in this Kindergarten SE class. At the introduction stage of the project, students are to engage in actively looking at and talking about the art images presented. Students will become aware of the cultural and artistic styles differences in the artworks. They will be given multiple opportunities to voice their opinions and observations. In the implementation of the art making project, students’ actively participation is important in creating ownership of the project. They will be engaged in the planning of their work by choosing the art tools to use. They make creative decisions with an intended purpose. They create artwork is an original piece of work. They speak clearly to express themselves, their idea for the drawing, their work processes, their observations, and their learning. They have attempted to write without assistance from the adults. Reread their writing in sharing consistently. Use new vocabulary learned appropriately. At the conclusion of the project, students should be able to articulate the work involved in the project and have a discussion with other students or adults what they have learned from this experience. The class participation ends when the finished drawings are scanned and upload to the iEARN project gallery to share with the partner schools and the world. 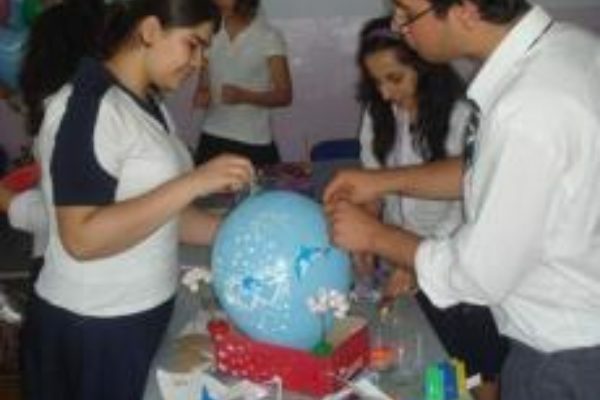 The students will exhibit their works in class to draw their project to a conclusion. Each student will deliver an oral presentation about their work. This might be photographed or videotaped to document and share with parents, teachers and administrators. 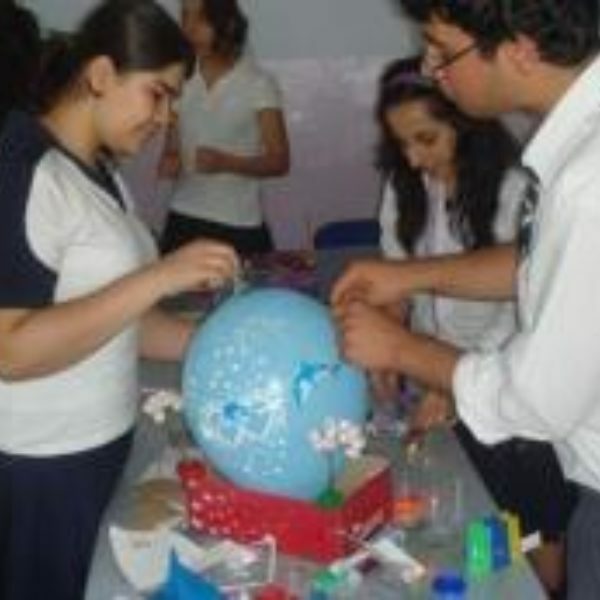 The class will consider hosting an iEARN project completion celebration that feature Students work Exhibition, Student Recorded Presentation, and Online Gallery of students work inviting parents, teachers and administrators to attend.